When the Outdoor Bark Control is within range of a barking dog, an internal microphone picks up the sound and the unit is automatically activated. 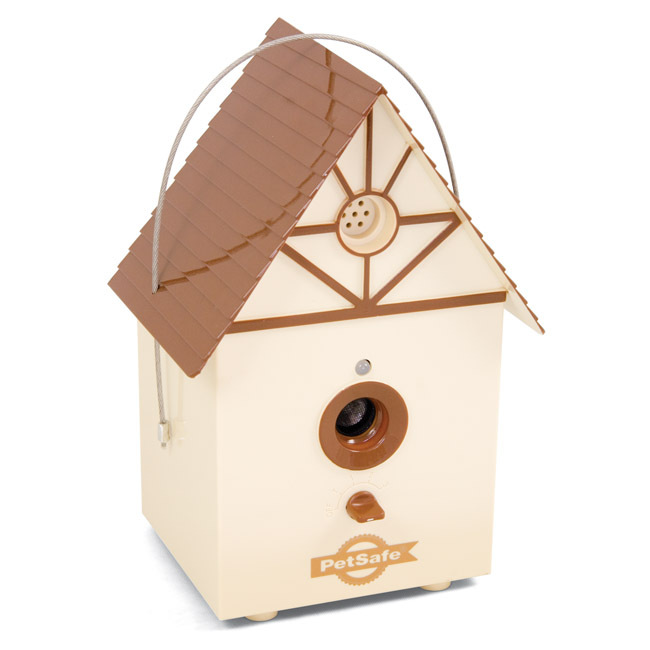 The PetSafe Outdoor Bark Control emits an ultrasonic sound. The ultrasonic sound can be heard by dogs but is silent to humans. Startled by the high-pitched sound that is safe and effective, the dog should stop barking, as it will associate its bark with this unpleasant noise. When the dog stops barking the ultrasonic sound also stops. The PetSafe Outdoor Bark Deterrent has 3 range levels and a test mode. It is effective up to 15 metres. Note: Unit is weatherproof. However, if water enters into microphone it may disrupt unit’s operation. Once microphone dries, it will resume working properly.